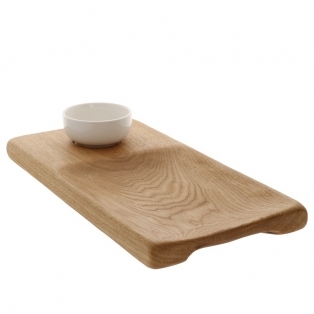 A Platter made of precious wood, perfect for serving refreshments and snacks. 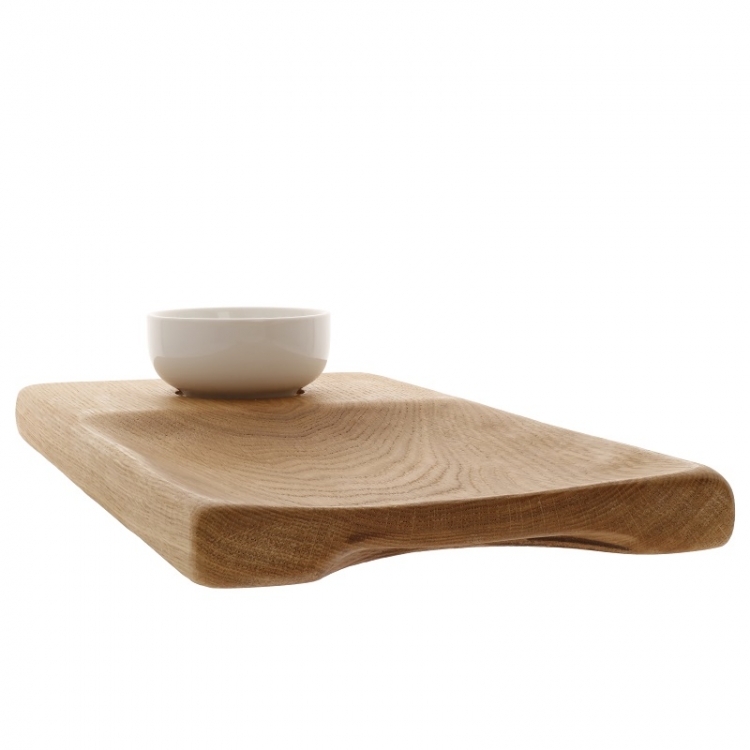 The sides at the bottom have special recesses, that make it very comfortable to hold. Material: Oak. Finished with natural oil wax. Maintenance: Clean with a moist cloth. If necessary, oil after a few years with natural oil wax and set it out to dry in a well ventilated room. Not dishwasher safe.